Light jets are a cost-effective air travel choice, ideal for short to mid-range trips. With impressive cabin space, light jets offer comfort and reliability without compromising on style, making them ideal for one to three hour trips. Designed with your comfort in mind, light jets are spacious with plenty of legroom, whilst still having space for luggage, making them perfect for long weekends away. Faster than a turbo prop aircraft, light jets average a cruising speed of 400 knots and range of 1,700 miles, making them a perfect choice for personal or business travel. 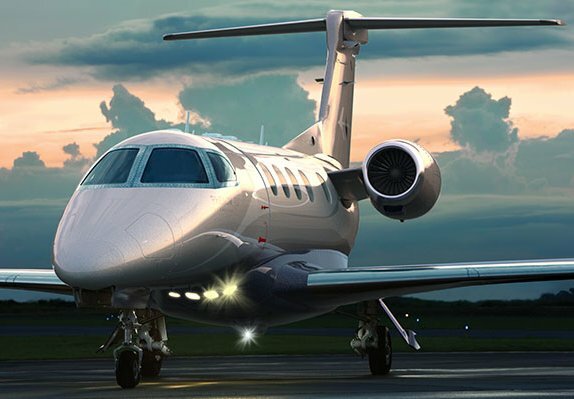 As the world’s most popular light jets, Cessna’s Citation range are excellent business jets providing great value and are a stand out light aircraft. The Citation line was designed for a single pilot, offering greater flexibility in flight operations and even equips business travellers to fly their own private jets to and from business meetings, aided with automated systems and a simple avionics system. The Cessna range includes the aerodynamic Mustang, the latest light jet, the M2 and the large CJ2+. High-speed, large cabin space and first-class fuel efficiency, Embraer’s award-winning Phenom range are becoming increasingly popular as the ideal private jet for travel. With over 45 years in the aerospace industry, Embraer’s knowledge and dominance of the commercial aviation market has been transferred into their executive private jet range, encompassing the latest technology and innovation. At the top of this range is the Phenom 300, labelled the most delivered business jet consecutively in 2013 and 2014. Key feature: Large windows for extra light, ideal for work or reading. Designed by Canadian owned Bombardier, The Learjet range has raised the bar in light jet distance travelling. Powerful engine design allows quick climbing performance, whilst its precise landing gear gives better access to shorter runways so you can reach more destinations by direct routes. Proud to be at the forefront of innovation, the Learjet range includes the Learjet 70 and its larger brother, the Learjet 75. Max Range: 2060nm or Chicago to San Juan. Key feature: New avionics systems for optimised pilot control, including an HD cabin management system. Key feature: Large cabin space for passenger mobility, with extra legroom and integrated storage.